Having a gallery in your studio means we come into contact with creative people on a daily basis. We change the artwork in the gallery every two months so over the last four to five years we have met many of the North Wests best professional artists. 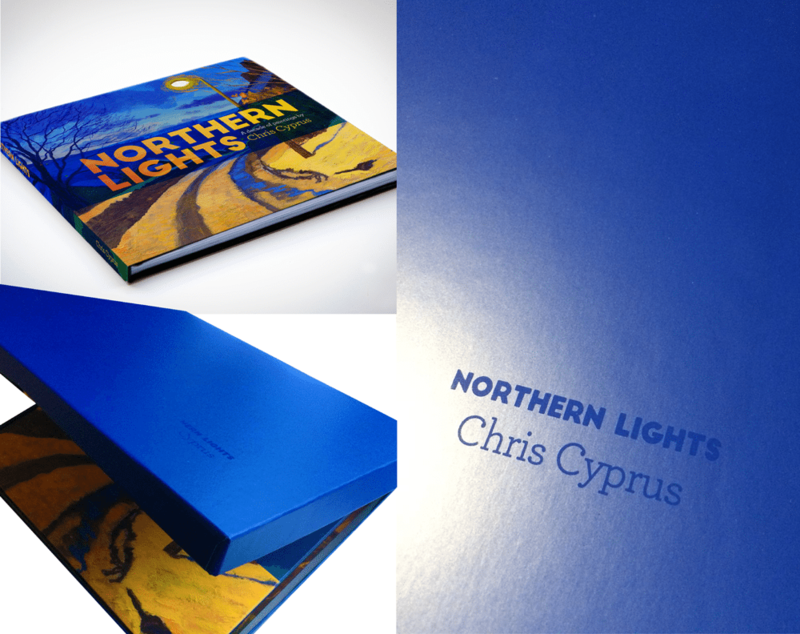 One of the very best in our opinion is Oldham born artist Chris Cyprus. We’ve struck up a good friendship with Chris and have enjoyed his rise in fame culminating in a recent appearance on the BBC One Show. 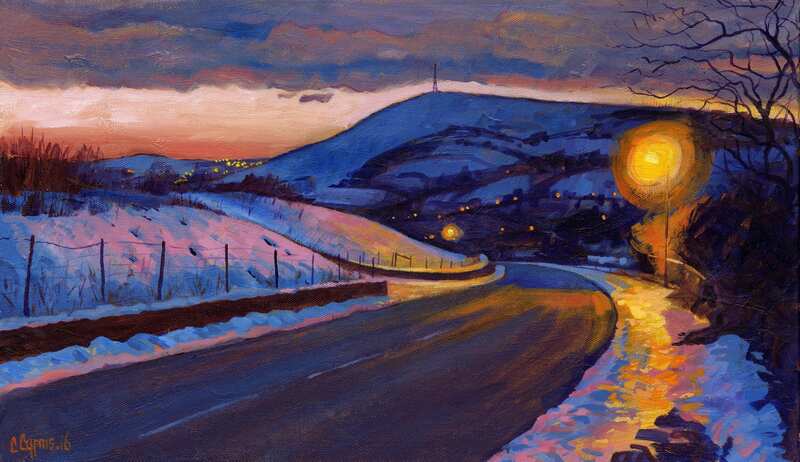 He has completed a series of 250 paintings depicting the sodium lights of the North of England at dusk. We heard he was hoping to produce a book to chronicle his 10 year body of work and jumped at the chance to design and help publish it. Encased in a solid blue box with the title picked out by the light reflecting off a spot UV, this 120 page book turned into a labour of love for both of us. You can order a limited edition copy from his website or if you ask Andy nicely enough he’ll bring you his signed copy to show off.